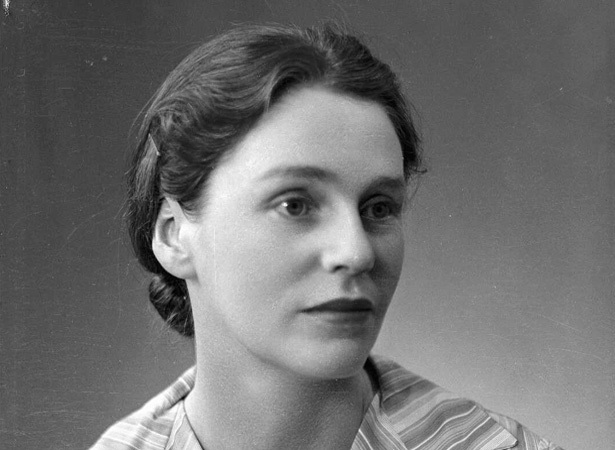 The journalist, poet and novelist, born Iris Wilkinson, was one of New Zealand’s finest writers of the inter-war era. Troubled for years by depression, illness and poverty, she took her own life in London. Read more about Robin Hyde’s life here. Although she is today best known for her novels Passport to hell (1936) and Nor the years condemn (1938), and the autobiographical The godwits fly (1938), Hyde regarded herself as primarily a poet. She also spent a number of years working as a journalist, notably for the Dominion and New Zealand Truth and as ‘lady editor’ of the New Zealand Observer. After attempting to drown herself in 1933, Hyde spent much of the mid-1930s as a voluntary patient of the Grey Lodge at Auckland Mental Hospital. In 1938, against all advice, she travelled to the front lines of war-torn China, where she was assaulted by Japanese soldiers and stricken by illness. Depressed and broke, she was living in a London attic as war approached in 1939. Labour MP and author John A. Lee secured government assistance to bring her back to New Zealand. On 23 August Bill Jordan, New Zealand’s High Commissioner in the UK, visited her to confirm travel arrangements but found her dead. The coroner concluded that she had committed suicide by Benzedrine (amphetamine) poisoning earlier that day. Hyde was buried in Kensington (Gunnersbury) cemetery. We have 11 biographies, 4 articles, related to Writer Robin Hyde dies in London.